Russian wheat aphid is not present in WA, but is widespread in South Australia, Victoria and New South Wales. As a precaution, it is very important that growers, agronomists and consultants remain vigilant, and check cereal crops and grassy weeds for aphids and damage symptoms. Russian wheat aphid is a serious pest of wheat and barley. 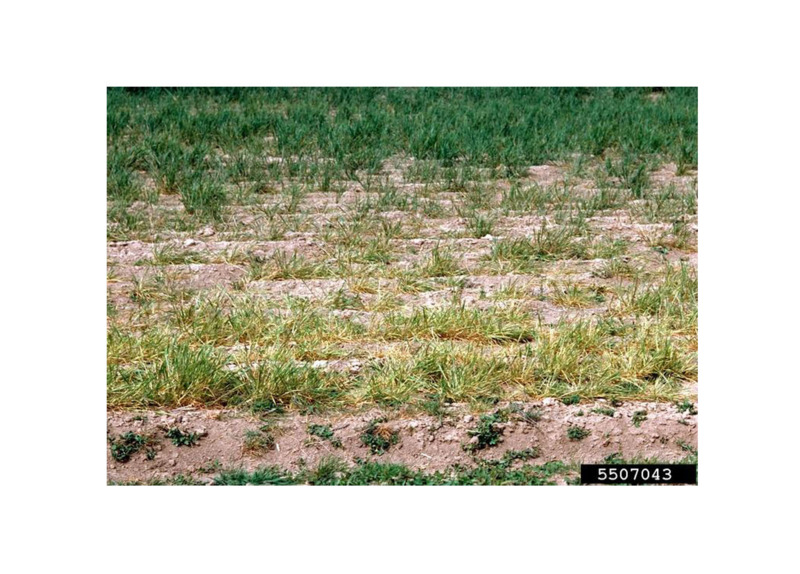 Limited problems also have been noted in triticale, oats and rye. Russian wheat aphid is potentially a more severe pest than other aphids. While aphid feeding damage generally results in yield losses of up to 10 per cent, in overseas crops Russian wheat aphid has caused yield losses of more than 80 per cent. 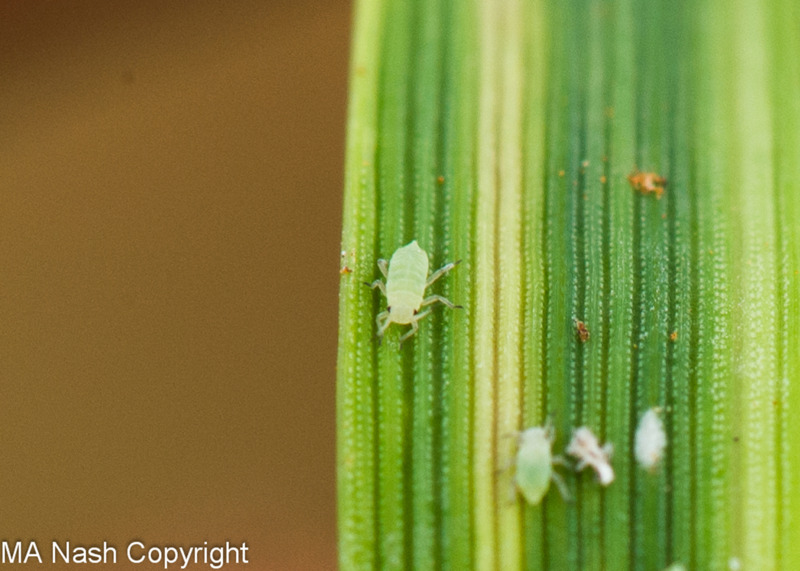 Unlike other aphids, Russian wheat aphids inject a toxin into susceptible crops, like wheat and barley, which can severely retard growth or under heavy infestations, kill the plant. 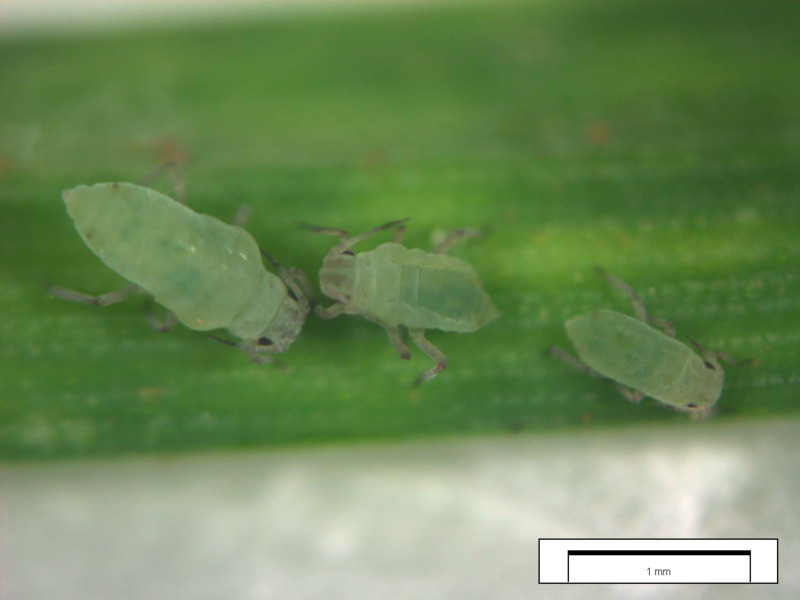 Russian wheat aphids looks similar to other cereal aphids except it has two tiny tails at the rear end and lacks the usual excretion tubes or exhaust pipes on the top of the rear end of the body compared to other cereal aphids. These pests are approximately 2 millimetres long, pale yellowish green with a fine waxy coating. The antennae are short, as are the cone-shaped siphunculi (sometimes called cornicles). Examine them closely using a hand lens or smartphone macro lens. See the webinar on recognising russian wheat aphid - available on YouTube or Podcast. 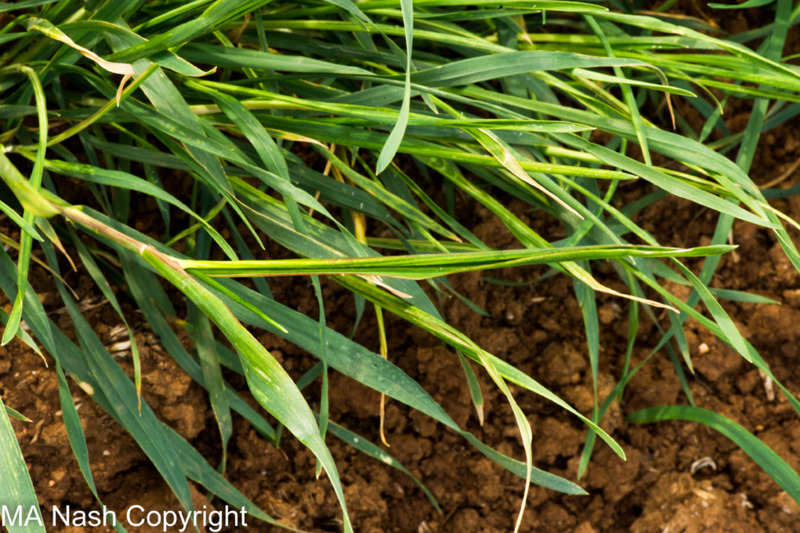 Symptoms could look like herbicide damage, thrips damage, mite damage or wheat streak damage. Look for a noticeable loss of green colouration across the crop and, on closer inspection, white, yellow, purple or red streaking, leaf curling, stunted plant growth and loss of vigour. Start plant inspections at the crop edge, where pests often colonise first, or where plants are under stress. 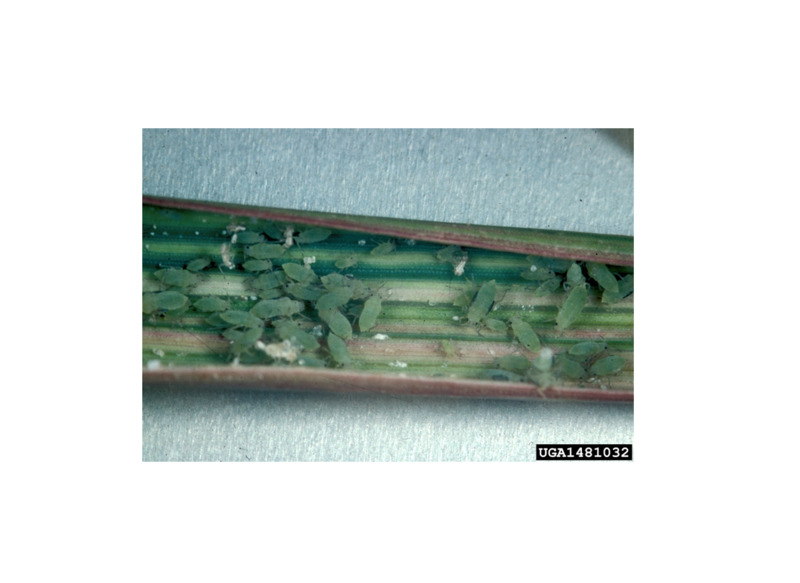 Look for aphid damage symptoms near the base of newly emerged leaves and inspect the leaves and leaf whorls of tillers. Plant Health Australia - Is your field day a biosecurity risk?